Just war traditions establish norms for resorting to and conducting war – otherwise known as jus ad bellum and jus in bello. Ethicists argue these norms are universal and, excepting occasional and usually lagging adjustments for technology, approach immutability. Considering the employment of new generation warfare, are these norms sufficient for the information age? Some argue the application of new generation warfare is a Russian phenomenon that has nearly exhausted its pool of potential victims. 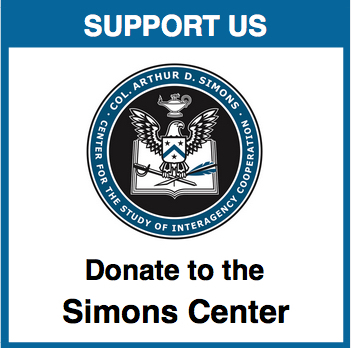 However, the emphasis on the information environment and the demonstration effects of its successful employment in the Ukraine and elsewhere suggest the doctrine is only starting to bud. 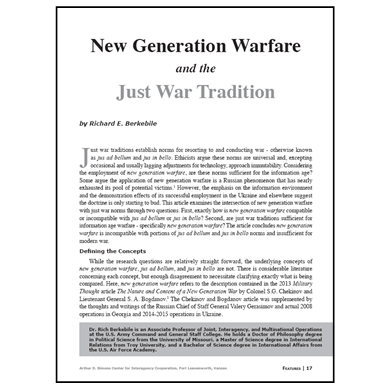 This article examines the intersection of new generation warfare with just war norms through two questions. First, exactly how is new generation warfare compatible or incompatible with jus ad bellum or jus in bello? 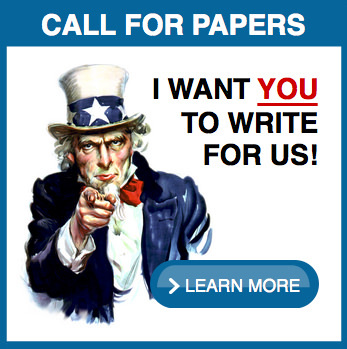 Second, are just war traditions sufficient for information age warfare – specifically new generation warfare? 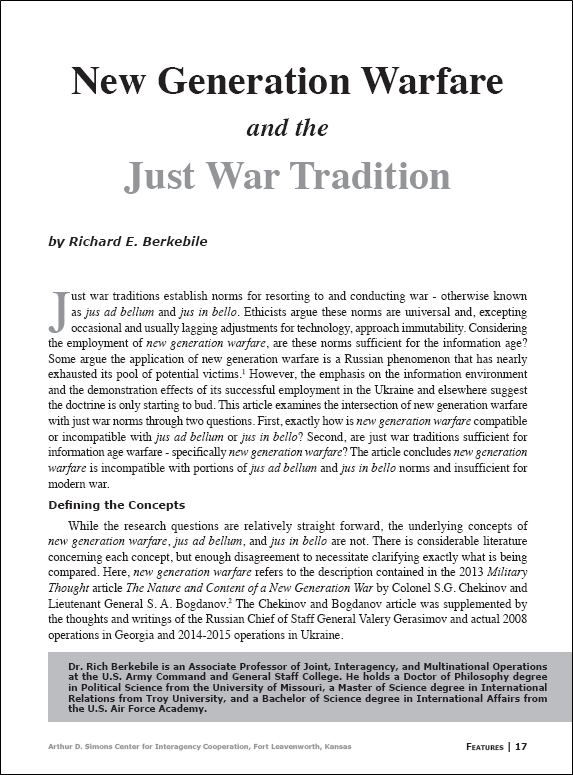 The article concludes new generation warfare is incompatible with portions of jus ad bellum and jus in bello norms and insufficient for modern war. Dr. Rich Berkebile is an Associate Professor of Joint, Interagency, and Multinational Operations at the U.S. Army Command and General Staff College. He holds a Doctor of Philosophy degree in Political Science from the University of Missouri, a Master of Science degree in International Relations from Troy University, and a Bachelor of Science degree in International Affairs from the U.S. Air Force Academy.